I was invited to deliver the keynote address at this year’s special event on ‘Human Rights, Sèxuality and the Law’, an annual symposium organized to promote awareness on issues relating to the plight of the Lèsbian, Gày, Bisèxual, Trànsgender, Queer and/or Intersèx (LGBTQI) Community in Nigeria. When this was announced on social media by the organizers, The Initiative For Equal Rights (TIERS) and @YNaija, hell practically broke loose within the LGBTQI community. My offence is that I had participated in a discussion of the Same Sèx Marriage (Prohibition) Act 2014 shortly after President Goodluck Jonathan signed it into law. Alimi, in particular, was on an Al-Jazeera panel with me. He argued that I exhibited homōphobia, defending the law. The complaints by the gày community were so loud and their objection to the possibility of my being allowed to invade “their space” was so trenchant. I called the organizers to ask if they were considering a change of mind about their choice of Keynote Speaker. Their answer was in the negative. On December 14, I participated in what turned out to be a lively, engaging, open and inclusive symposium on Human Rights, Sèxuality and The Law. I did not see any reason to beat about the bush. I opened my address with a response to Alimi and the critics. The labels used to describe me do not fit me. I am neither a homōphobe nor an extremist. My views are liberal and I consider the rights of every man to be ontological, interdependent and indivisible. These rights are well-covered in all the major nine documents on International Human Rights, including the Universal Declaration on Human Rights (1948) and its 30 articles, the International Convention on the Elimination of All Forms of Racial Discrimination (1965), the International Covenant on Civil and Political Rights (1966) and the International Convention on the Elimination of All Forms of Discrimination Against Women (1979). Nigeria is a signatory to majority of these conventions, protocols and covenants as well as the African Charter on Human and Peoples’ Rights (1981). Chapters Two and Four of the Nigerian Constitution, 1999, expressly uphold these rights. The enactment of certain legislations such as – The Fundamental Rights (Enforcement Procedure) Rules 2009, HIV/AIDS (Anti-Discrimination) Act, 2014, Violence Against Persons (Prohibition) Act, 2015, the National Human Rights Commission Act, 2015, the Prohibition Against Domestic Violence Law No 15 of Lagos State, 2007, Gender Based Violation Prohibition Law of Ekiti State, 2011, Trafficking in Persons (Prohibition) Law Enforcement and Administration Act, 2003, the Legal Aid Act, 2011 and the Child Rights Act, 2003 – also point to considerable advancements in human rights legislation in Nigeria since 1999. Human rights are important. They are indeed matters of urgent and high priority because they are at the core of the idea of our humanity. They are indispensable vehicles for achieving peace, stability, justice and development in the world. Every human being is entitled to these rights; to devalue the right of any person is to violate that person’s right to dignity and justice. Nigeria in spite of acknowledged advancements remains a nightmare where human rights are concerned. The failure of institutional mechanisms and the absence of political will to translate constitutional rights into effective human rights realities have resulted in what is clearly a governance and accountability crisis. The average Nigerian suffers the after-effects in various ways: poverty, lack of access to justice, violence, kidnappings, police brutality, extortion, wanton resort to self-help by both state and non-state actors, and a general regime of lawlessness reminiscent of the brutal days of military rule. Political leaders and state officials are so powerful that they have no regard for the people. They choose when it is convenient for them to respect court orders. There is a disconnect between Nigeria’s international human rights obligations and what it does at home, creating conflicts and tensions in the implementation of human rights law. Nigeria is a member, for example, of the ECOWAS Community Court of Justice, but the government routinely ignores the rulings of this strategic regional court. Non-state actors are emboldened by the negligence of state actors to take the law into their hands, as seen in the conflict between Corporate Responsibility and Human Rights in Nigeria. Nigeria is a member of the International Labour Organization, the enabling principles of which are covered in the Labour Act, 2004, but with the unemployment crisis in the country, employers of labour trample on the rights of workers at will. The non-justiciability of the social, economic, cultural and group human rights goals in Chapter Two of the Nigerian Constitution further compounds the nightmare. It is within this overall context of the human rights situation in Nigeria, that the issue of sèxuality is to be located. Section 15 (2) of the 1999 Constitution talks about national integration without discrimination on the grounds of sèx, among others. Section 17 states that the social order is founded on the ideals of “freedom, equality and justice”, while Section 17(3) says state policy shall be directed towards “all citizens, without discrimination on any group whatsoever”, a goal that had earlier been covered also in Section 14(2)(b). Section 42 further upholds every Nigerian’s right to freedom from discrimination. Whereas the Constitution talks about sèx, and not sèxuality or gender orientation, the principle of equality before the law and the right to be human is without exemption of any persons or groups. Article 2 of the International Covenant on Civil and Political Rights indeed says sèx should be taken to include sèxual orientation and gender. Minority groups are often targets of violence in Nigeria – apart from ethnic and religious minorities, women, children, the girl-child and the physically challenged, perhaps the most targeted and the most violated in recent times are members of the LGBTQI community. Gàys in Nigeria have found themselves in a hostile society. There have been reported cases of persons with suspected LGBTQI orientation being subjected to various forms of violence: kidnapping, extortion, ràpe, assault, inhuman and degrading treatment, denial of access to justice and curtailment of their fundamental rights. The state looks the other way, the rest of society says serves them right. There is no plan or structure in place for protecting gày persons in Nigeria from outright violation even by the police and the state. Section 214 of the Criminal Code criminalizes “any person who has carnal knowledge of any person against the order of nature”. Section 217 thereof frowns at “gross indecency”. Similarly, Sections 284 and 405-408 of the Penal Code, and the Sharia Law in 12 states of the North make homosèxuality a punishable felony. Public hostility towards the LGBTQI is widespread. It is risky to reveal sèxual orientation in Nigeria. No political party or politician has formally endorsed LGBTQI rights in Nigeria. The Same Sèx Marriage (Prohibition) Act 2014, which is a particular source of anxiety and the target of protest by the Nigerian and global LGBTQI community, establishes a legal basis for formal discrimination on the grounds of sèxuality. This law forbids any form of gày marriage, or civil union (sections 1-3), the registration of gày clubs, societies and organisations or the holding of gày meetings (section 4(1)) and the display of amorous relationship between two persons of the same sèx in Nigeria (section 4(2). Anybody who enters into a same sèx marriage contract or runs a gày club or association or group or is seen to be aiding and abetting homosèxuality is considered guilty of a felony. The punishment ranges from 10 to 14 years (section 5). Although the SSMPA deals with marriage or civil union, it is a much stronger law than the Criminal and Penal Codes and the Sharia on gày issues. It is a law fraught with ambiguities, which devalue the gày person’s rights to privacy, dignity of the human person, freedoms of expression and freedom from discrimination. But it remains a popular law with the majority of Nigerians who rely on culture and traditional values, public morality as defined in Section 45 (1) of the 1999 Constitution, and the fact that Nigeria being a sovereign nation should be free to make its own laws and not subject itself to Western notions of sèxuality. Research findings accordingly indicate that more than 95 percent of the Nigerian population considers homosèxuality a sin. Religion and culture remain major barriers to human rights expression as seen in the case of Christians quoting such anti-gày Scriptural passages as Leviticus 18:22, 20:23, the poor fortunes of the Child Rights Act in spite of its ratification by 26 out of 36 states, constructive and continuing gender discrimination, and the disgraceful politicking over the Gender Equality and Prohibition of Violence Against Women Bill, 2016 which has now been reduced pathetically, at second reading, to a bill on violence and sèxual abuse. There are specific posers to be raised in relation to the SSMPA 2014. One, culture to the extent of its dynamism should evolve, and must not be erected into a given barrier to human rights expression. Two, human rights and sovereignty should not be antithetical. Three, who should determine what is right and wrong? Is there an objective universal morality in a world of diverse beliefs and practices? And is morality necessarily as determined by the majority? Can the majority possibly be wrong in a democracy? Where sèxuality is concerned, the insistence on basic rights can only be a continuous and inclusive struggle. The debate can only continue to evolve as society itself evolves. The irreducible minimum lies in the need by state and non-state actors to continue to make efforts to dismantle barriers and extend the frontiers of how human rights are respected, protected and fulfilled. Gày persons in Nigeria are subjected to police brutality and assault, targeted killings, hate crime, and sundry forms of discrimination. Their relatives are stigmatized. The jungle justice that is imposed on the community is outside the province of the law. Enforcing the law as it is, until it is amended, revised, or repealed, should be within the province of the rule of law, not the jungle. The right of all persons to freedom, justice and equality should be considered sacrosanct. Any law, which contradicts this principle, in its operation or expression, is to the extent of its inconsistency, questionable. The more memorable aspect of the 2016 symposium on Human Rights, Sèxuality and the Law, attended by both gày and non-gày persons, was the interactive session where further issues were raised and interrogated. One fellow stood up and insisted that I needed to apologise to the LGBTQI community for views I had expressed in the past. My response was that when I defended the SSMPA publicly in 2014, I was doing my duty as the Official Presidential Spokesperson. In that capacity, it was part of my responsibility to explain and promote government policies and decisions. A spokesman’s loyalty is to country, state, government and principal; he or she is essentially a Vuvuzela. Besides, the SSMPA is not a law about my personal views but the values and the choice of the majority of Nigerians. What people do with their private lives is their business as free human beings without interpreting freedom as absolute, however, but as a guarantee for the equality of all persons. Someone else wanted to know why President Jonathan considered it expedient and urgent to sign a bill that was first proposed in 2006 into law. The chronology is that the National Assembly rejected the bill in 2007. It was passed by the Senate on Nov 29, 2011, by the House of Representatives on May 30, 2013 and signed into law on January 13, 2014. If President Jonathan had withheld assent, the National Assembly could have exercised its power of veto override. What is required, in all of this, to be honest, is not ex post facto hand-wringing and blame games, but continued advocacy and awareness building. Incidentally, the African Commission on Human and Peoples’ Rights has called on the Nigerian Government to consider a revision of the SSMPA given the manner in which it is being exploited to violate fundamental human rights. A day may well come when this would happen in line with the Yogyakarta Principles on sèxual orientation and gender identity, as has been experienced in Mozambique, Nepal and Nicaragua. A lady stood up and added: “Dr Abati, it is important that you realise you are in our space. This is a very sensitive space and community. My husband is your very good friend, but I still think you owe this community an apology because even when doing your job as a government official, there are certain things you should not say.” I thought I already answered that question. 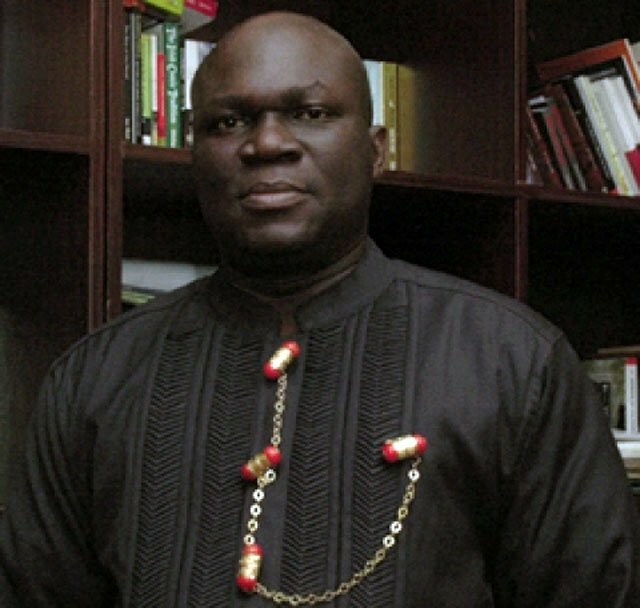 Another lady intervened: “Hi, Dr Abati, I am made to understand you don’t believe we exist in Nigeria. Well, now you know we do. I am a citizen. I work in this country. I pay my taxes. My name is Pamela. And I am a Lèsbian.” I have never said any such dumb thing as to insist that the LGBTQI community does not exist either in Nigeria or elsewhere in Africa. Having read Bernadine Evaristo and other writers on the subject, I have a clear understanding. I left the symposium with two special gifts. The 2016 Human Rights Violations Report Based on Real or Perceived Sèxual Orientation and Gender Identity in Nigeria, a 61-page publication by TIERS Nigeria which was formally presented at the occasion and “Tell Me Where I Can Be Safe”: The Impact of Nigeria’s Same Sèx Marriage (Prohibition) Act, a 108-page publication by Human Rights Watch. Both publications provide detailed and up-to-date information including statistics and the impact of the law with regard to the status of the LGBTQI community in Nigeria, focusing mainly on human rights violations on the grounds of sèxual orientation and gender identity. I recommend both publications for general reading and for the benefit of those seeking answers on the subject under review. Sitting by my side during the interactive sessions was Olumide, the gifted and resourceful activist who runs TIERSNigeria. We reviewed the comments as they flowed forth from the participants in the room. What is clear is that there is a vibrant LGBTQI community in Nigeria led by internationally exposed, media-savvy and knowledgeable young men and women who are determined to insist on their fundamental human rights and their right to be who they want to be. They are aggrieved. They are organized. They have set up platforms for self-expression including the use of technology, publications, movies (re: Hell or High Water, November 2016), the media and other social networking opportunities. Their voice is likely to grow louder as they become more organized. For how much longer can they be ignored? As the event drew to a close, the microphone got to a young fellow who incoherent at first, still managed to deliver his punch-line killer: “Please, I don’t understand what people are saying. They are saying they are liberal, or that we need to unlearn certain things. Liberal, about what? When you say you are liberal, it is like you are patronizing us. Can you talk about rice when you have not even tasted it?” Yes, I think. One of the privileges of intellection is the right to talk robustly and nineteen to the dozen about rice, without ever tasting it.